In January 1998, a violent ice storm hit Montreal and surrounding areas. Over five days, the storm dumped ten centimetres of freezing rain. It fell as water and froze on impact, crumpling electrical towers and leaving over 1.4 million homes without power. 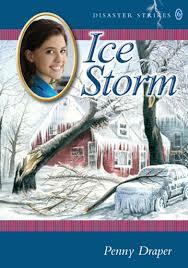 Ice Storm is the story of two young cousins and their families as they try to survive this violent storm. Alice lives in Montreal in one of the first neighbourhoods to lose power. Her father works for Hydro Quebec so he arranges for Alice to go to her uncle’s out of the city. Unfortunately, the storm makes travelling impossible and Alice ends up in a shelter instead of with her cousin, Sophie. Alice’s father works gruelling hours cutting back trees, repairing downed power lines, and trying to keep ahead of the storm. Sophie lives on a dairy farm near Saint-Hyacinthe. Her family was able to weather the first few days of the storm with relatively little change to their schedule, but when the hydro went out on their farm, every hour was dedicated to keeping the generator running and keeping their cows alive. When the generator could no longer handle the workload and broke, the family scrambled to save themselves and their business, but not without cattle casualties. Curriculum Connections: Told over eight days, this suspenseful fictional account brings the storm alive for both history lovers and hesitant historians. With its rich, descriptive language, Ice Storm supports students who are learning to visualize when reading, and provides colourful and engaging imagery to activate their creativity and understanding. As the 6th book in the Disaster Strikes series by Penny Draper, this would be a great book to use with literature circles, history research, or when examining the effects of Global Warming in science or social studies. 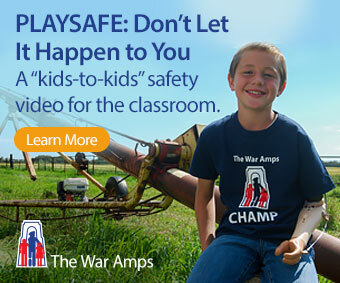 This is also an excellent commentary on the difference between rural and urban life, where urban areas have a particular dependence on hydro— for television, radio, microwaves, stoves, etc.—and how urban infrastructure is actually quite delicate with a substantial dependence on rural resources.